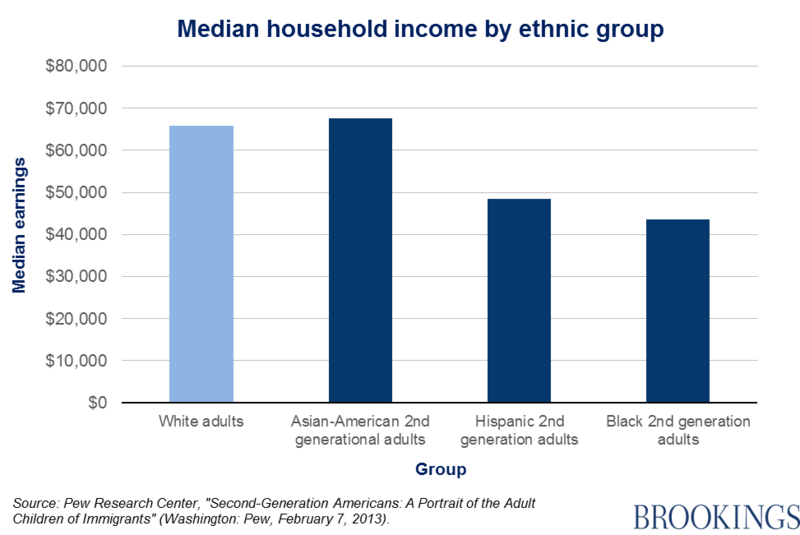 How upwardly mobile are Hispanic children? Depends how you look at it. People often immigrate to a new country to seek a better life for their children. In their new country, immigrant children very often show rapid upward mobility. 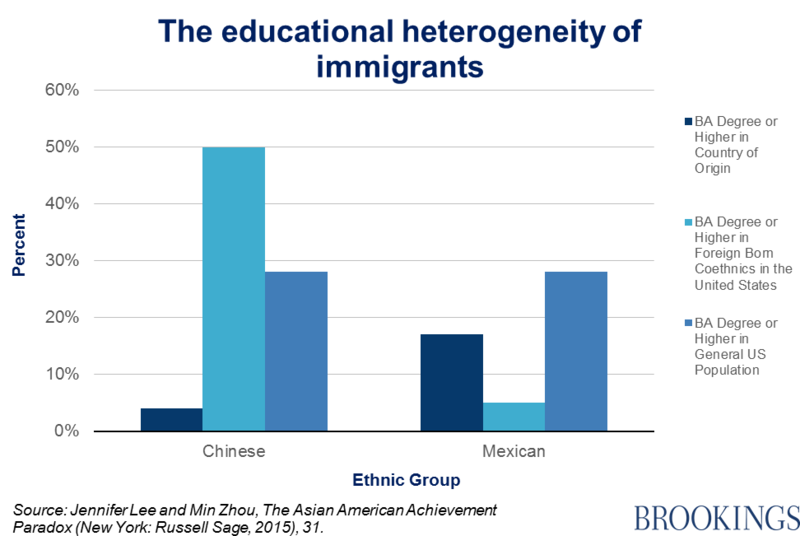 But immigrants are very far from being a homogenous group, arriving with very different levels of education, skills, and economic resources. 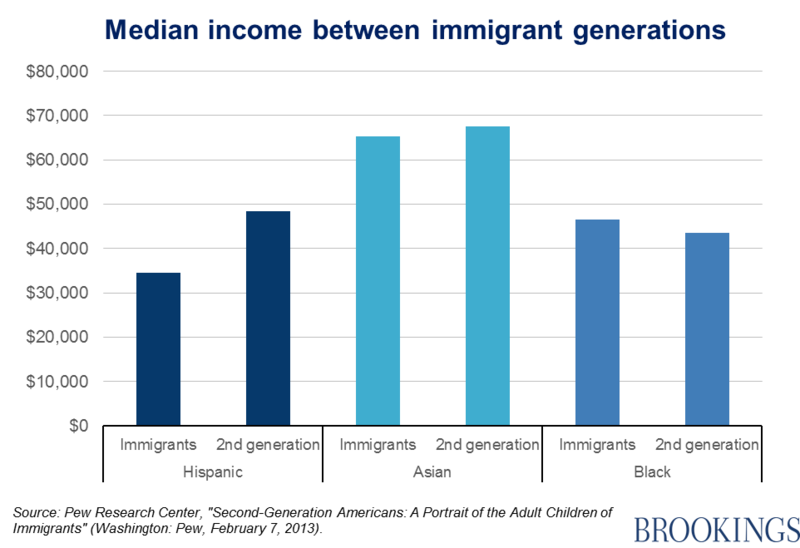 So how are the children of one particular group—Hispanic immigrants—doing? The answer to that question hinges on the point of comparison. 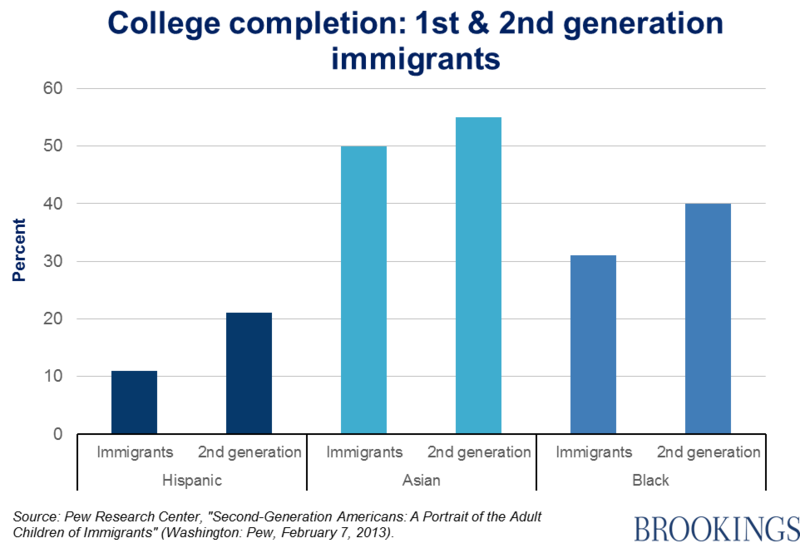 Even more surprising is that the children of black immigrants are doing well in terms of college completion rates—twice as well as the children of Hispanics, and better, in fact, than among the general population of whites. What if their parents hadn’t come to the U.S.? This is obviously a more difficult comparison, especially considering the extreme heterogeneity of the immigrant population. 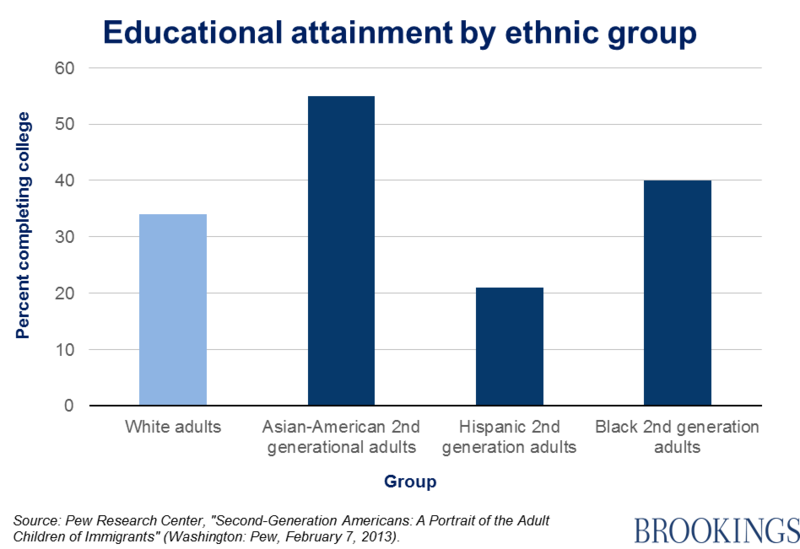 Some immigrant groups are better educated than those in their home country, and even the general U.S. population. This ‘hyper-selectivity’ is a feature of many Asian-American groups including the Chinese (as a recent book by Jennifer Lee and Min Zhou, The Asian American Achievement Paradox, shows). 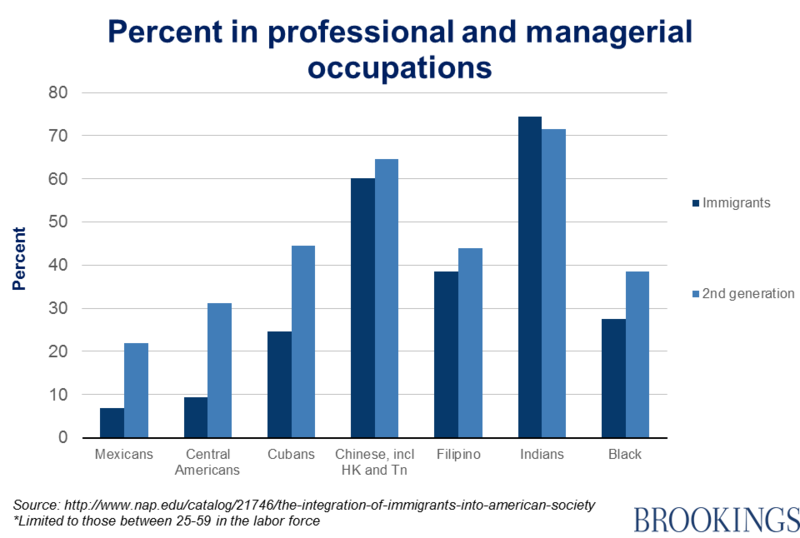 A report on the integration of immigrants into American society released this year shows that not only do second-generation Hispanics do better than their parents educationally and in terms of household income, but they also make gains in terms of occupational status. Many have left the agricultural work their parents performed, with 22 percent of second-generation men from Mexico and 31 percent of those from Central America in professional or managerial positions in 2003-2013. The children of Hispanic immigrants have climbed further than children from other ethnic groups, compared to their starting point. None of this is to say that we should not strive to close the wide gaps in outcomes between different racial and ethnic groups. But we should not naively compare immigrant groups with radically different backgrounds, or dismiss the huge strides already made by American Hispanics.